The IRS has issued the 2017 Average National Monthly Premium of bronze-level qualified health plans for both individuals and shared responsibility families of five or more. That figure is the benchmark by which taxpayers can assess whether they owe an individual shared responsibility payment to the IRS under the Affordable Care Act (ACA). It’s another sign that the IRS is continuing to prepare for enforcement of the ACA. Under the ACA, taxpayers and their dependents who are without minimum essential coverage for one or more months in a taxable year may owe an individual shared responsibility payment when filing federal income tax returns, unless an exemption applies. The IRS individual penalty amount is capped at the cost of the national average premium for a bronze level plan available through the Marketplace. For 2017, the penalty translates to the greater of $695 per adult, $347.50 per child, with a family maximum of $2,085 or 2.5% of household income above the filing threshold. Recent letters released by the IRS has further signaled that the IRS is going to move ahead with enforcement of both the individual mandate that individuals should obtain health insurance and the employer shared responsibility mandate that employers with 50 or more full-time or full-time equivalent employees provide offers of insurance that are both affordable and provide minimum essential coverage to at least 95% of their employees. 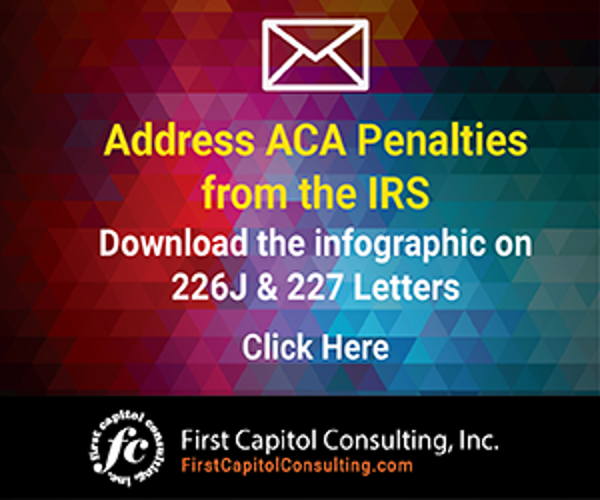 The IRS has indicated that penalty notices may be sent around the end of 2017 to those companies that have not complied with the ACA or IRS filing deadlines for supplying 2015 tax year information required by the ACA. 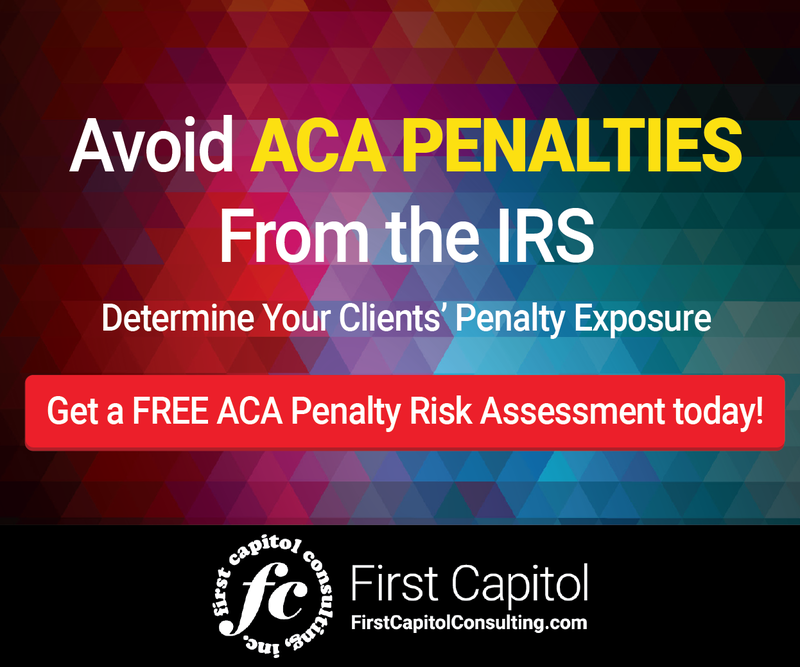 The IRS has disclosed the average national monthly premium rate for qualified health plans that taxpayers must use to determine if they owe a penalty to the IRS for not obtaining health insurance.